Climb Mount Kenya– this magnificent mountain rises to an altitude of 5,199m and owns the title of Africa’s second highest mountain. It is one of the most incredible mountains to climb. 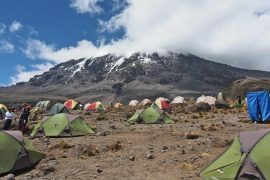 Unlike Kilimanjaro in Tanzania, Mt. 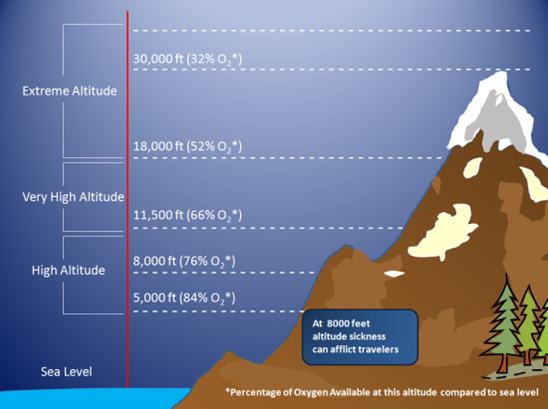 Kenya is more of a ‘mountaineers mountain’. 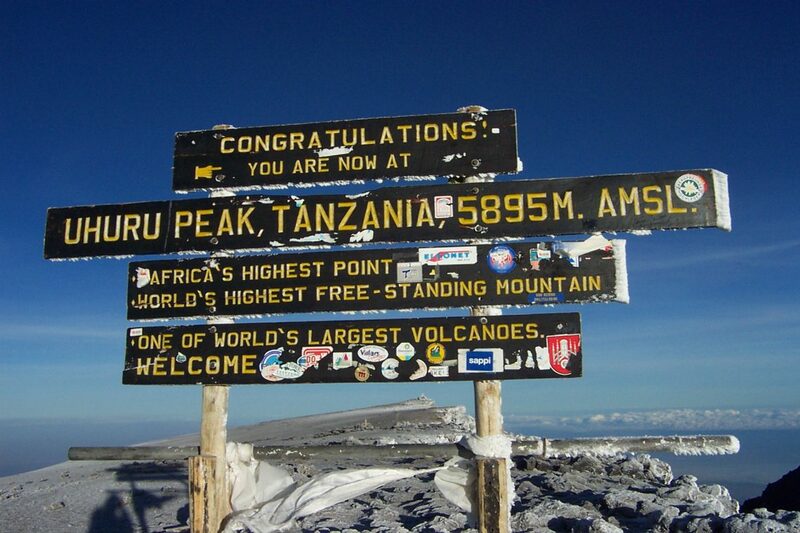 Climbing Kilimanjaro is more of a high altitude trek and is accessible without any technical difficulty. The opposite is true of Kenya’s highest mountain. There are no easy ways to the summit. 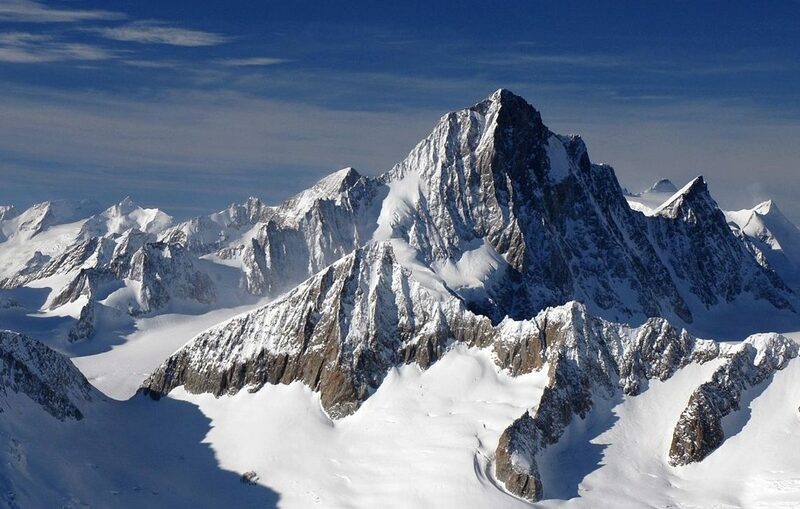 In fact that is what makes this incredible mountain as alluring as legendary peaks like the Matterhorn. The mystery of this peak can be felt as it is first seen looming above the alpine desert. It is situated in the Central Highlands and showcases some of the most abundant and diverse ecological environments in Africa. Animals that live at its base include the Cape Buffalo, elephant, monkeys and host of bird species. 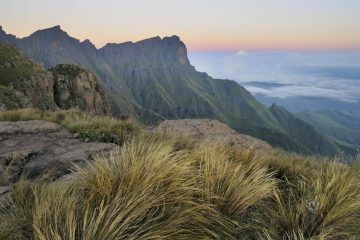 It is also home to the Giant Groundsel and Lobelia plant species that are unique to this majestically mountain environment. Where is Mt. Kenya Situated? This incredible mountain is situated only 16.5km south of the equator in the wonderful and hospitable country of Kenya. Getting to mountain is done by car from the capital city of Nairobi which is about 150km away. As with so many mountain in the world like Elbrus in Russia, Mount Kenya has 2 summits. The higher of the two is Batian which is 5,199m. The second peak of Nelion is a mere 9m lower at 5,188m. 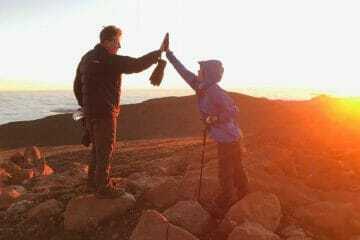 What makes Mount Kenya so intriguing? 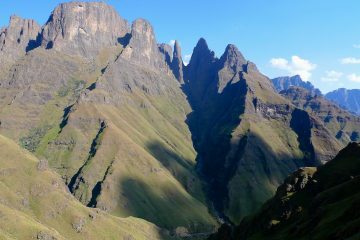 What could be more alluring than a high altitude rock climb set against some of the most incredible African and volcanic scenery? And unlike most volcanic mountains, Mount Kenya is surprisingly solid with a host of incut holds that not only adds to the adventure but keeps the difficulty at a moderate level. Mount Kenya is a double peaked mountain. The incredible and favored Shipton Route is best climbed between December and March. The summit on this route is Nelion Peak (5,188m). The summit of Batian at 5,199 can be reached via the normal from June to September. Although the Shipton route is considered more of a challenge, they are both considered awesome climbs. 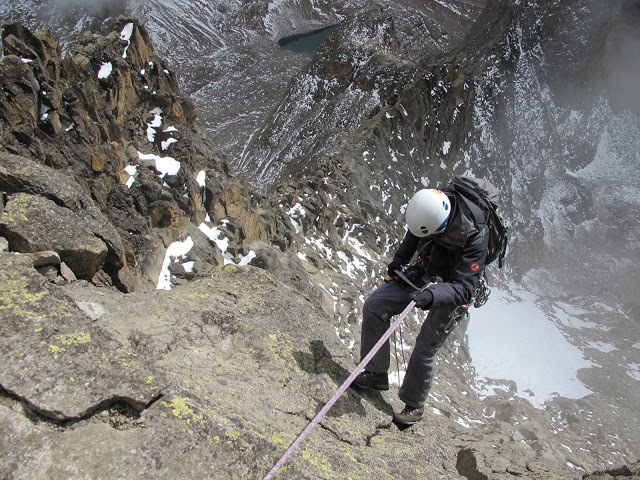 What qualifications you need to climb Mount Kenya? The upper part of the mountain is technical and climbers must have experience in the use of crampons and rock climbing. Skills include abseiling, climbing knots and belaying. 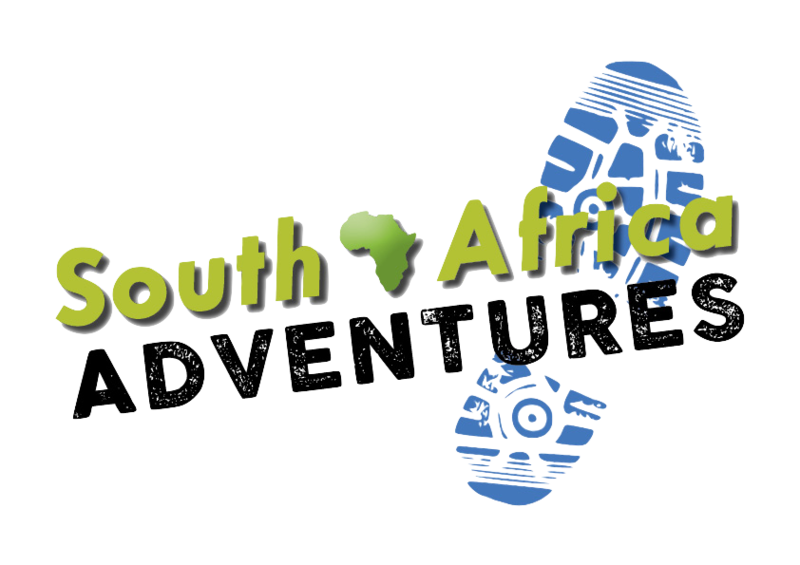 The route will be set up by the climbing guides so no lead climbing experience is needed. The degree of difficulty has been rated as intermediate. A South Africa representative will meet you at Nairobi airport and transfer you to the hotel. After breakfast we start the first day of our hike up Mount Kenya. The hiking duration today is between 4-6 hours. Our destination is the Gates and we set up camp by Lake Ellis. Views of Mount Kenya can be seen from here. After breakfast we pack up camp and take the 5 hour hike to what is known as Halls Tarn. We should get into camp by 13H00. After lunch the rest of the day is spent exploring the area. After breakfast we start our hike along the foot of the massive rock walls that populate this mountainous wonderland. After a few hours we reach a point known as the Tooth Col. after lunch we traverse to the Austrian Hut, our humble abode for the night. As with most mountains, Mount Kenya can also experience some volatile weather conditions. If the weather is good and the team is feeling strong, we can climb the non-technical part of the mountain to Point Lenana at 4.979. This is the third highest peak on the massif. We can use this part of the trek to acclimatize for the summit. We should be back by lunchtime. The rest of the day is to relax and prepare for the summit attempt of Mt. Kenya. We are looking at starting the climb pretty early in the morning. The first part of the clim is the Lewis Glacier which is pretty easy to navigate across. We then ascend to the summit via the technical route known as Shiptons. 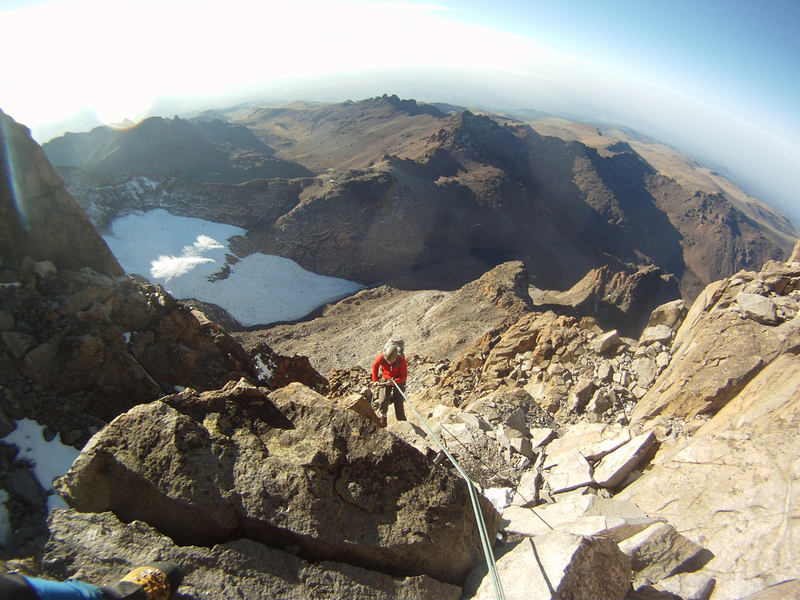 Once on the summit, we spend about half an hour taking in the view and then descend by multiple abseils (rappels) to the camp for the night. After breakfast, we take the 5 hour drive back to Nairobi in time for the flight home. There is the option to spend another night in the town or book an onward tour to Zanzibar or the Serengeti.